Greenstuff Autex Acoustic Blanket (AAB) has been engineered to maximise sound absorption for the control of reverberated noise in building interiors. Highly versatile; AAB is ideal for managing noise in theatres, studios, auditoriums, offices and retail complexes. It is an ideal solution for an acoustic treatment behind modular ceiling and wall panels. AAB is available in wide range of densities and performance options. 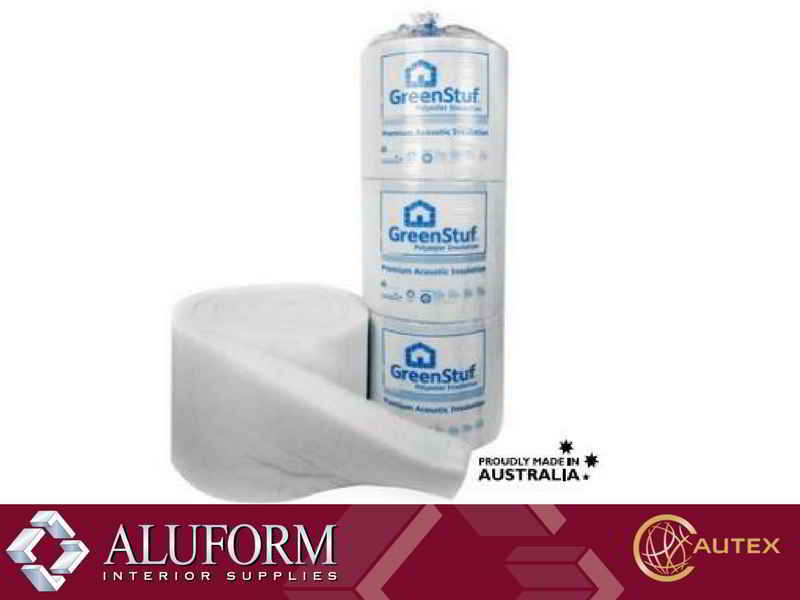 For customised roll sizes and other density options, please call 1800 995 817 or email at sales@www.aluforminteriors.com.au. Prices shown below are online prices. For account customers, discount will be applied and delivery charges will be confirmed once order has been processed. Autex Polyester Insulation Products are dispatched the same or next day.